Collaboration is at the heart of the Indaba Way. The digital world exists because we humans created it as consumers and merchants. Technology is an output of the partnership of people, and at Indaba we believe challenges and opportunities in ecommerce are tackled not with Technology alone, but focusing on every human element in digital transactions. From ideation, to analysis and strategy, to tactical planning and execution to ongoing optimization, it is people that drive success. Technology is the vehicle. At Indaba we strive to influence and guide every aspect of an ecommerce interaction by passionately focusing on putting our clients and their customers in control of technology. We do this by leveraging and innovating modern technologies to optimize long term, measurable growth. Indaba is an expert web development & design agency, specializes in a variety of industry leading e-Commerce platforms. We lead with an agnostic approach, mapping out both short term, and long term business goals to build & maintain scalable websites for a diverse portfolio of eCommerce businesses. Indaba develops custom backend integrations to create an automated workflow with your CRM or ERP, as well as accounting and fulfillment services. We make sure your transition to Magento e-Commerce platform runs as smoothly as possible with your current systems and internal operations. Enterprise cloud hosting offers powerful computing performance, flexibility and security as well as robust storage capabilities. With scalability designed to fit your budget and performance requirements, cloud hosting is a valuable asset in the world of e-Commerce. A scalable solution which allows for seasonality, peak traffic, marketing promotions, and business growth. 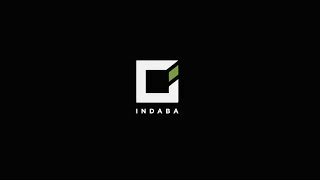 Indaba isn’t just the name of our company, it’s who we are and who we strive to be. It is our badge. We call it The Indaba Way.